Argentina's fourth-oldest newspaper, founded in 1875 by a Catholic priest, celebrated in new exhibition on publication's history at national Chamber of Deputies. The Southern Cross, one of the nation's oldest newspapers and a reference point for the Irish-Catholic community in Argentina for well over a century, is the subject of a new exhibition at the national Chamber of Deputies. The historic publication, founded in 1875 by Roman Catholic priest born in County Galway, was honoured at an event on Tuesday (March 18) organised by national deputy Dr. Ezequiel Fernández Langan (PRO), who heads the Parliamentary Group of Friendship with the Republic of Ireland. 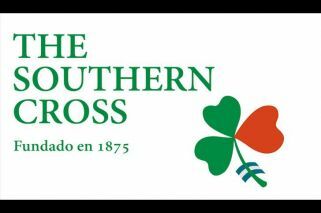 Among those in attendance at the inauguration last Tuesday (March 18) were Ireland's Ambassador to Argentina, Bolivia, Paraguay and Uruguay, Jackie O’Halloran Bernstein, and Guillermo MacLoughlin Bréard, the current editor of The Southern Cross. 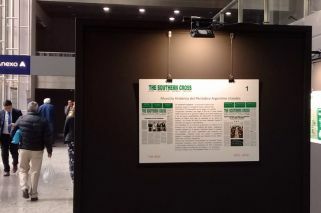 The new exhibition, which opened to the public on March 11 and runs until Friday March 22, explores the newspaper's long history. 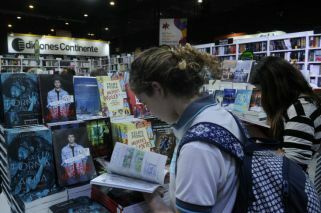 After La Capital (Rosario), La Prensa (Buenos Aires) and La Nación (Buenos Aires), The Southern Cross is the fourth-oldest publication is Argentina's history, founded one year before the now shuttered Buenos Aires Herald. It is the oldest Irish newspaper published outside of Ireland, according to its publishers. “It is an honour for me to participate in recognising The Southern Cross newspaper at the national Congress of Argentina,” said Ambassador O’Halloran, who described the publication as a fundamental pillar of the Irish community in Argentina. The newspaper had served as a beacon of light and opportunity in difficult times, the ambassador added. The exhibition gives insight into the wave of Irish immigration to Argentina that began in 1840, with many individuals intending to escape the oppression of the English, famine, and the few possibilities for development that Ireland had to offer at the time. Between 1840 and 1880, some 150,000 Irish immigrants set off for new lives in Argentina. The Southern Cross, which was founded in 1875 by Priest Patrick (Patricio) Joseph Dillon, was the first Catholic publication in the country. In his first editorial, the priest – a missionary to Argentina – wrote “we are Catholics first, Irish after.” Dillon would later go on to serve as a provincial deputy and a senator. Bréard, who has been the editor of The Southern Cross for the last decade, said his ties with the newspaper went back more than 40 years – he wrote his first contribution to the publication at the age of 15. Stating that he had taken a lot of inspiration from P. Frederico Richards, C.P., a former editor who served between 1968 and 1988, Bréard said that under his direction, the paper intended to be open-minded and focused on human rights. – The exhibition is open to the public with free admission until March 22, on the ground floor of Annex A of the Chamber of Deputies (Av. Rivadavia 1841).